If you’re ever in the mood for a top-shelf slow-sipping dram to end your evening, chances are you’ll select Scotch, bourbon or perhaps Cognac. Tequila companies are looking to change that. If you’re ever in the mood for a top-shelf slow-sipping dram to end your evening, chances are you’ll select Scotch, bourbon or perhaps Cognac. Tequila companies are looking to change that. By aging tequilas in used whiskey, brandy, wine and sherry casks, producers are creating refined bottlings that satisfy the cravings of a Scotch lover while introducing them to the floral, vegetal flavors of tequila. Here, three ways companies are using seasoned barrels to flavor their tequilas. Dulce Vida, an Austin-based tequila company, recently released the Limited Edition Extra Añejo tequila rested for five years in American oak barrels previously used to age Napa Valley Cabernet and Merlot. Aging the tequila in the wine barrels gives it an amber hue, along with a touch of spice and a rounder, almost port-like mouthfeel. $169. Master tequila distiller Germán Gonzalez’s Tears of Llorona is known as the Pappy Van Winkle of tequilas. The super-small batch tequila is a blend of three 5-year-old añejos—one aged in sherry casks, one aged in Scotch barrels and one in French Cognac barrels. 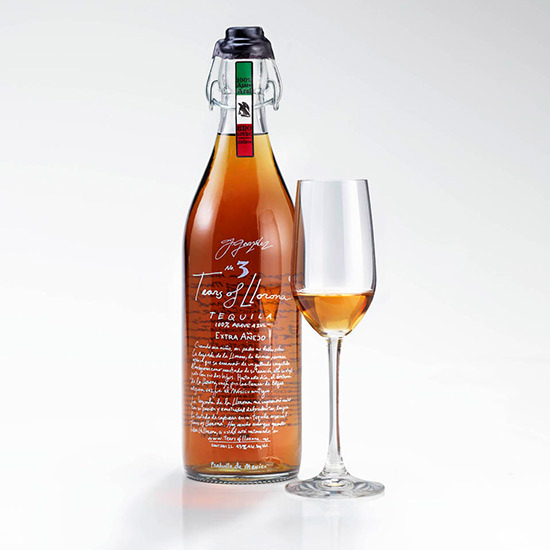 The result is a smooth, elegant and elevated tequila with notes of sweet, nutty sherry and hibiscus from the agave. $250. Though Tears of Llorona has a Pappy-esque reputation, Corazon Tequila has the closest actual connection to the bourbon. The Expressions del Corazon series features four tequilas aged in barrels that once held Buffalo Trace, George T. Stagg, Sazerac or Old Rip Van Winkle bourbons and ryes (all products of the Buffalo Trace distillery, which also produces Pappy Van Winkle). Think of it as if four of your favorite whiskeys and one quality tequila had a delicious litter. $60-90.